Tiller MIND BODY, Inc. has continually manufactured systems in accordance set by the United States Food and Drug Administration (FDA), International Regulations (ISO:13485:2003), European Union (CE0459), Health Canada, Australia (ARTG), Mexico and others. 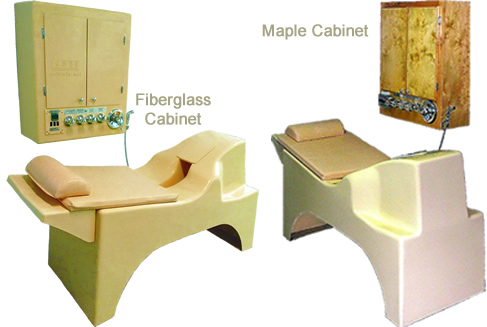 Designed for Centers / Medical Spas / Anti-aging / Nursing Care / Gastroenterologists / Hospitals / Resorts, or use in homes. LIBBE Easy to Operate, Therapist Assisted or may be operated in privacy for dignity and Solitude. Aerodynamically Rounded Corners for Comfort! Seamless design, so no bacteria can hide! Therapist has full access to provide Reflexology, etc.